With five days in Croatia, that pretty much takes up the blog entry this week. You can see photographs and text in the two embedded Facebook posts below, but as I always lead with angling, that’s where I’m kicking off this time round as well. When I first started travelling with The New Saints FC, and spending a few days here and there, I often found myself with water in the immediate vicinity. Whether a small stream or the open sea, I thought it would be great to have a rod with me. Thus was born the idea that became a reality when I got my first telescopic rod. Now, the first thing I do once I know the hotel that we will be staying in, is go to Google satellite maps and look for blue. Sometimes, like in San Marino and Cyprus last year, that means nothing more than a swimming pool. This time round there was more blue than anything else as Opatija is a seaside resort on the Adriatic. Not knowing what to expect, I took along a 12′ telescopic coarse rod, barbel-fishing reel and bits and pieces such as jig heads, rubber fish and rubber worms. As soon as I got to the harbour area I noticed how clear the water was, you could see right to the sea bed. Then there were the masses of small fish, all tropical looking. It was like staring down into a massive aquarium. If ever I went back again I would take totally different gear but the improvised tackle I had was fine. It wasn’t a fishing holiday, any angling I could squeeze in was a bonus. 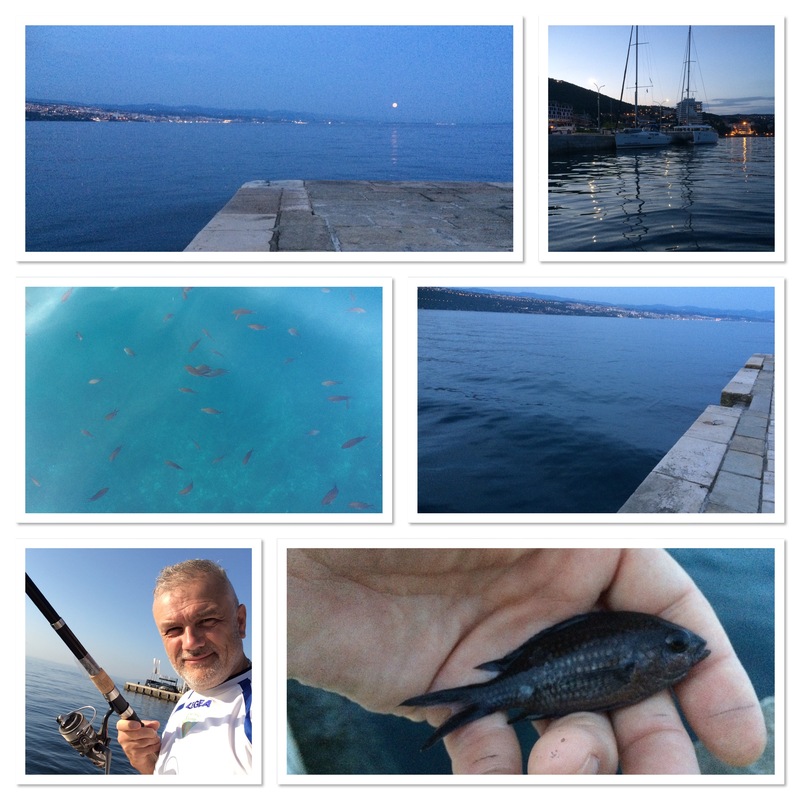 I didn’t catch anywhere near as many as I would have liked but I landed my very first Mediterranean damselfish on rubber worm worked up and down in the warm water. I got three very short sessions in, which I enjoyed, sitting on the dockside in shorts, top and flip-flops. With temperatures in the 3os it was a very pleasant experience indeed. Although I’ve visited 30+ nations now, I’ve only fished a few. I can now add Croatia to the list that consists of England, France, Romania, Scotland, South Africa and Wales.